We see regular queries about deleting a Blogger account, in Blogger Help Forum: Learn More About Blogger. A Blogger account is simply a Google account, used to publish or read blogs. If you want to delete a Blogger account, you need to delete the Google account. If you are using your Google account for other services, maybe GMail, Google+, and / or YouTube, you won't want to delete your Google account. But you can make the Blogger portion of your Google account invisible, to the public. 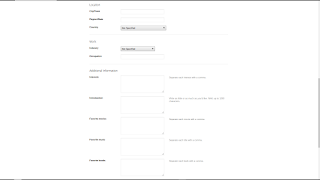 With a little planning, you can make your Blogger account empty and invisible, to the world. Delete, or transfer ownership of, any blogs that you own. If you have any Blogger blogs, you'll want to delete them - but plan the deletion, for best results. Alternately, you may prefer to transfer ownership of your blog(s), to a different Blogger / Google account. Edit your profile, and remove all personal details - and make it private. If you're using a Blogger profile on your Blogger account, edit your Blogger profile, and remove any personal details that people surf - like Location, Work, and Additional Information. Then, uncheck "Show my profile". With your blogs gone, and your profile empty and private, there won't be any way for folks to find your Blogger account. Uncheck "Show my profile", as a final step. If you have a Google+ profile, check that, too. If you are using a Google+ profile, with your Google account, edit check your posts and your Google+ profile, for any mention of your Blogger blogs. Finally, don't publish any Blogger blogs - and you won't have a Blogger account. This may be part of the process of making yourself anonymous. Some blog owners decide to delete their #Blogger accounts, without understanding that you can't separate Blogger from Google. A Blogger account cannot be deleted, without deleting the Google account. With a little effort and planning, though, you can remove all traces of a Blogger account - and leave the Google account intact.